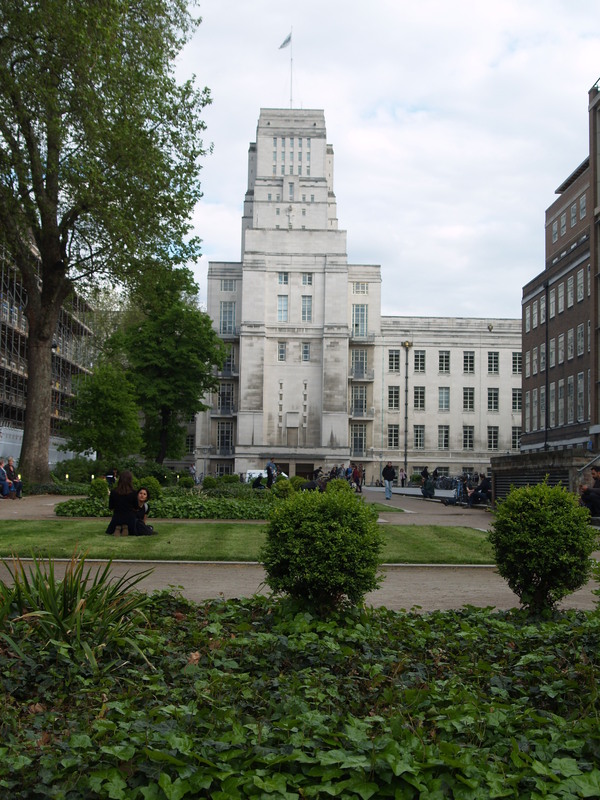 Torring ton Square is owned by the University of London, most of the houses having made way for University buildings. The square is actually a rectangle and with its gravel paths and formal plots of grass and ivy, it has a rather French feel. There is a weekly farmers’ market in the square on Thursdays. 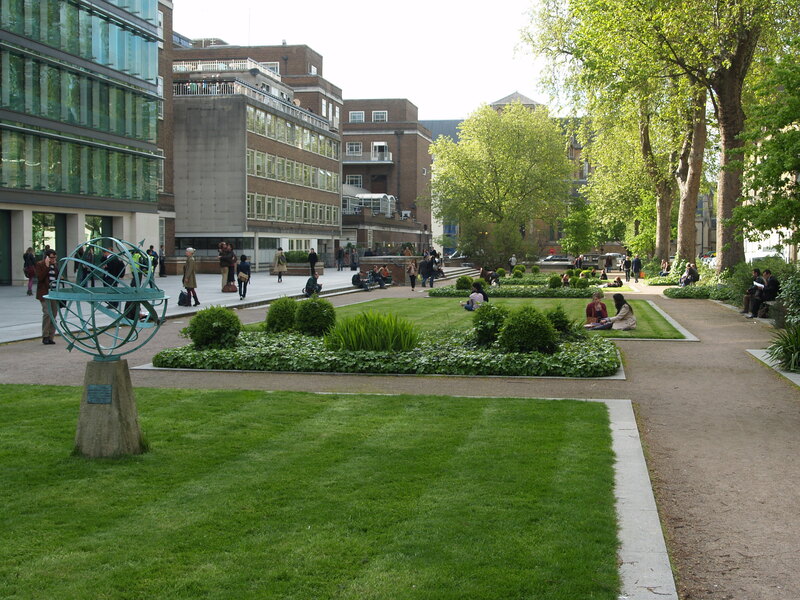 At the northern end is Byng Place, which has outdoor seating and a cafe stall, and Gordon Square which has a cafe. Birkbeck College and the Student Union occupy most of the west side. At the southern end stand the large white University Senate House, London’s first ‘skyscraper’ and once the tallest secular building in London, and the School of Oriental and African (SOAS), near Russell Square. 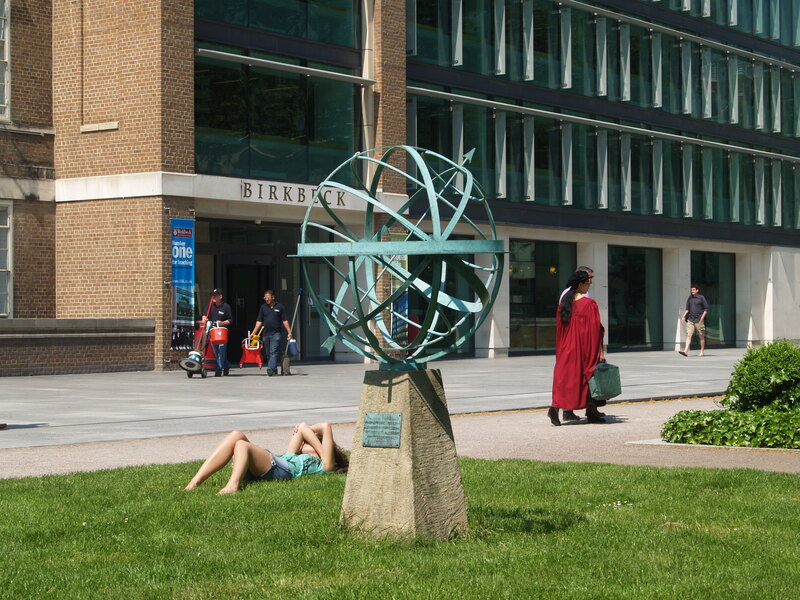 The symbolic globe that stands on the lawn outside Birkbeck was unveiled in 2008 by Princess Anne to commemorate the 150th anniversary of the University of London External System. Pablo Picasso created a mural in the flat (at No.22) of John Desmond Bernal, a pioneer in X-ray crystallography in molecular biology and fellow communist, when he was staying in 1950. It is now part of the Wellcome Trust collection.